A fast, low-effort way to apply your chosen spread-medium over a substantial area, the Handy THS80 Broadcast Spreader combines a sizeable 3.66m maximum spread-width with a lightweight design and smooth-running pneumatic tyres. 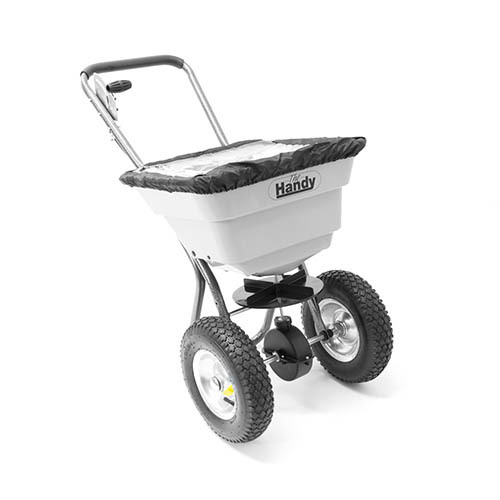 It has a substantial 36kg hopper capacity and weighs only 12.3kg. Hopper-screen and cover included. This product is delivered directly from the supplier. An email address and telephone number is required at the point of ordering so that delivery may be arranged.